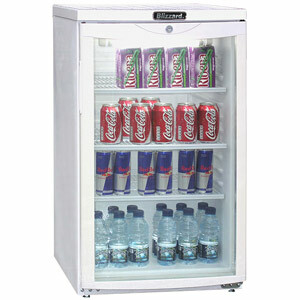 Ideal for soft drinks, food, and even wine, the Blizzard Budget Fridge is a perfect all round fridge for use in lunch rooms, offices, and other non-commercial placements. Don't be fooled by the name, even Blizzard's budget refrigerator rates higher than other high end coolers. With a double-glazed door for maximum insulation, the Blizzard Budget Fridge even features a lock as standard to stop any of your drinks going missing!